Nichole Nordeman's new album -Every Mile Mattered - is a story that has been written on her heart for years. She shares the story in a note inside the album about how the good and the bad matters. 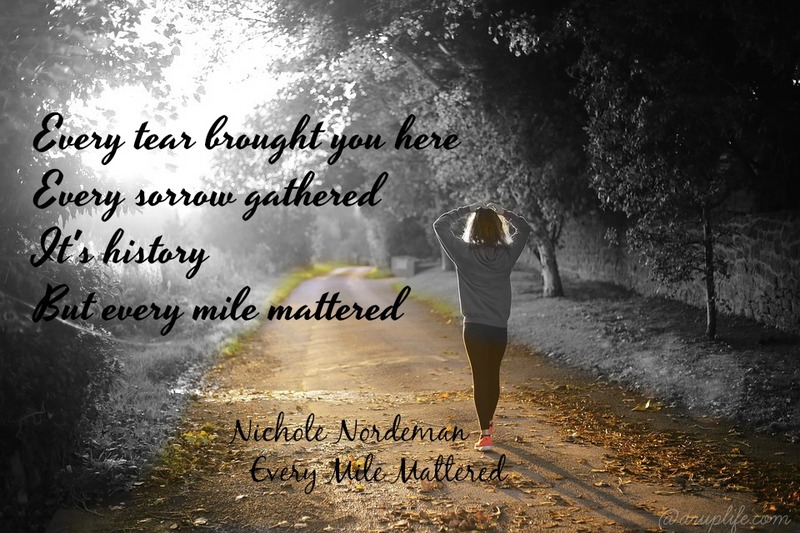 The titled track - Every Mile Mattered- shares that thought too. This album really speaks to me. It seems the last 6 years have had so many wonderful moments but an equal amount of hard times. God has been here through it all, giving me strength and grace to make it through it all. You're Here is that song for me! 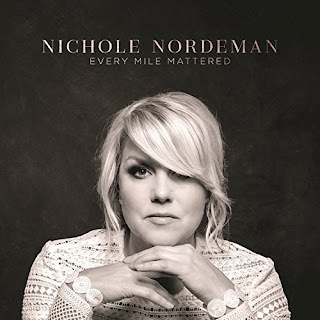 Nordeman sings what so many of us feel. Her voice is hauntingly beautiful. The lyrics and music blend so well - this is truly a beautiful album. One lucky reader will win a copy of Every Mile Mattered! ARupLife.com received product, press or compensation to facilitate this review. This post may contain affiliate links, which means that by clicking on an affiliate link I may receive a small amount of money. We only give our honest opinions of products. This post is in accordance with the FTC 10 CFR, Part 255 concerning the use, endorsements or testimonials in advertising. Lisa Rupertus/ A Rup LIfe is a participant in the Amazon Services LLC Associates Program, an affiliate advertising program designed to provide a means for sites to earn advertising fees by advertising and linking to Amazon.com. “Disclosure (in accordance with the FTC’s 16 CFR, Part 255: “Guides Concerning the Use of Endorsements and Testimonials in Advertising”): Many thanks to Propeller Consulting, LLC for providing this prize for the giveaway. Choice of winners and opinions are 100% my own and NOT influenced by monetary compensation. I did receive a sample of the product in exchange for this review and post.